Why would I need self storage in Salt Lake City, UT? There are a variety of reasons why you might need self-storage in Salt Lake City, UT. How much is a storage unit in Salt Lake City, UT? The cheapest storage unit in Salt Lake City, UT is $40.00 per month. What size storage units do you have available in Salt Lake City, UT? In Salt Lake City, UT we have sizes that range from 5'x5' to 17'x20' to suit your storage needs. How much is it for a 5'x5' storage unit in Salt Lake City, UT? The cheapest 5'x5' storage unit in Salt Lake City, UT is $46.00 per month. 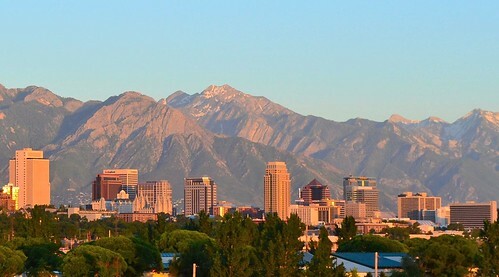 Salt Lake City is a large, metropolitan city and the capital of Utah. Salt Lake City residents enjoy easy access to big-city amenities like museums, theaters and fine dining, alongside recreational activities like hiking and skiing. Salt Lake City hosts a thriving tourism industry, based on its wide variety of outdoor activities and sports. It also serves as the United States' industrial banking center and is home to a number of major companies and firms. Throughout Salt Lake City, you can find a number of interesting locations that tell the story of its rich history. One of the best-known historical sites in the city is the Salt Lake Temple, constructed by the area's large Mormon community over the course of 40 years (1853 – 1893). It's surrounded by Temple Square, which also includes the historic home of the Mormon Tabernacle Choir, and still maintains major religious and historical significance today. Another local landmark is Assembly Hall, built in 1877. In recent years, it has evolved into a music venue for free summer concerts. The Thomas Kearns Mansion, St. Mark's Episcopal Cathedral and the Roman Catholic Cathedral of the Madeleine are just a few of the other historical landmarks within Salt Lake City. Salt Lake City is a culturally diverse place to call home, and the city's many cultural influences can be seen in its local events, arts and culture scene, and thriving music scene. Local museums include The Leonardo, The Gateway and the Natural History Museum of Utah. You can explore a wide range of exhibits at the city's many museums, ranging from local history and religious artifacts to interactive children's exhibits and technology. One of the major arts establishments in Salt Lake City is the Capitol Theatre, a historical theater that attracts Broadway performances as well as local theater companies. The Utah Symphony Orchestra and the Mormon Tabernacle Choir are two major musical presences in the city, both having hosted performances for many decades. Salt Lake City is also home to a thriving festival culture, hosting numerous events throughout the year, including celebrations of culture, art, dance, religion, food, music and more. Major events in the city include the Utah Pride Festival, Pioneer Days, the Utah Arts Festival and parts of the Sundance Film Festival. Public schools here belong to Salt Lake City School District. There are also several alternative options to traditional public school, including arts-focused campuses, Catholic parochial schools and others. Salt Lake City hosts a number of institutions of higher education. The University of Utah, Westminster College, Salt Lake City Community College and Brigham Young University are just a few of the schools that operate campuses in the city. Utilities: Salt Lake City's major utilities providers include Rocky Mountain Power and the Salt Lake City Department of Public Utilities. Garbage and Recycling: SLCgreen facilitates weekly collection services for trash, recyclables and compostables. Transportation: There are plenty of public transportation options in Salt Lake City, including bus, commuter trains and light rails. Many major areas of the city, including the airport, local ski resorts and more, are connected via public transit. Home prices in Salt Lake City are rising rapidly, keeping pace with the city's growing population. You can find a wide variety of options in the Salt Lake City housing market, whether you're looking to rent or buy. Many homes have spacious, grassy lots that are ideal for children or pets. If you prefer to live in an apartment or condo, the downtown area offers many communities with extensive amenities. Our lowest priced units in Salt Lake City, UT average $42.20 per month. 325 people have reserved units in Salt Lake City, UT in the past 30 days. There are 5 locations within Salt Lake City, UT's city limits.